Engineers across the world have been using Alstrut Machine Building Components. The gamut of applications that can be realized using the Machine Building Components are almost unlimited. 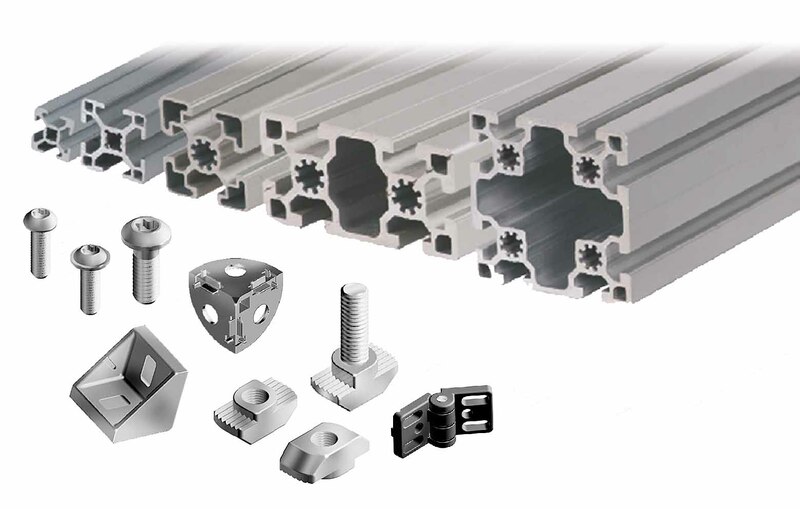 The array of machine building components includes a selection of precision engineering aluminium profiles, along with a range of accessories that are designed to be compatible with the aluminium profiles. This extensive selection allows for solutions to almost every application - simple or complex. The unique designed profiles also offer multiple advantages. All components designed with the principle of Design For Assembly enables quick assembly and flexibility.With a variety of bolt-together connectors for virtually any load or application, almost any structure can be quickly assembled without any special tools or skills. The aluminium profiles have been clear anodized, making the surface reasonably resistant to any scratches. This gives the completed structure an aesthetically appealing appearance, eliminating the need for any additional painting or surface finishing. The nature of the machine building system facilitates quickly adding or removing structure elements or modules from an existing structure. This flexibility enables the engineers to quickly adapt the structure or the factory floor for dynamically changing production needs.